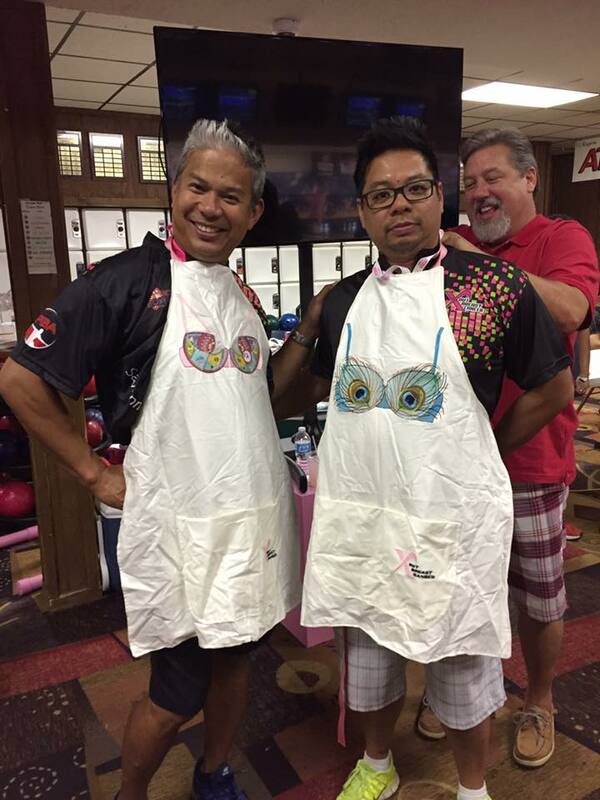 I wanted to send you some pictures of the breast cancer aprons I made for a large bowling tournament held this July 29, 2016 in Huston, Texas. 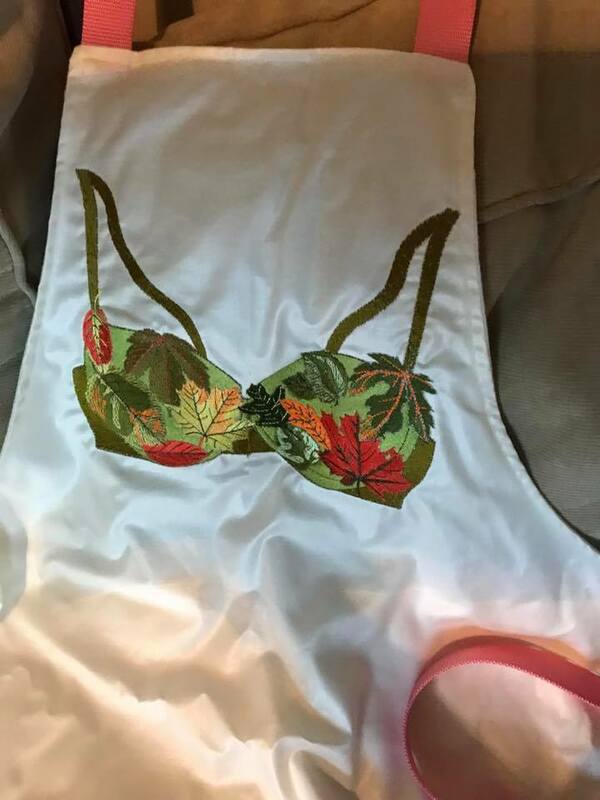 I donated these to an amazing foundation that gives 100% to cancer research. 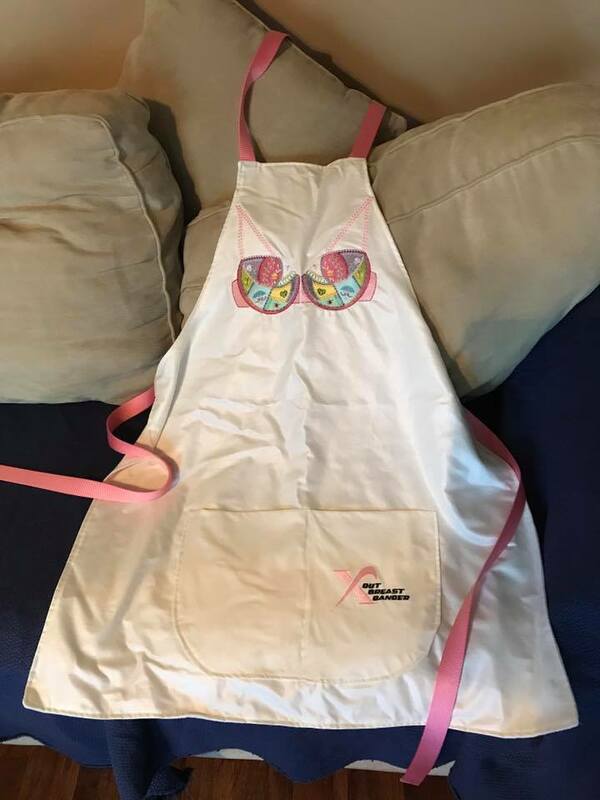 Being a 2 yr breast cancer survivor I wanted to give back a little to the people responsible for raising the funds that have made it possible for me to be here today. 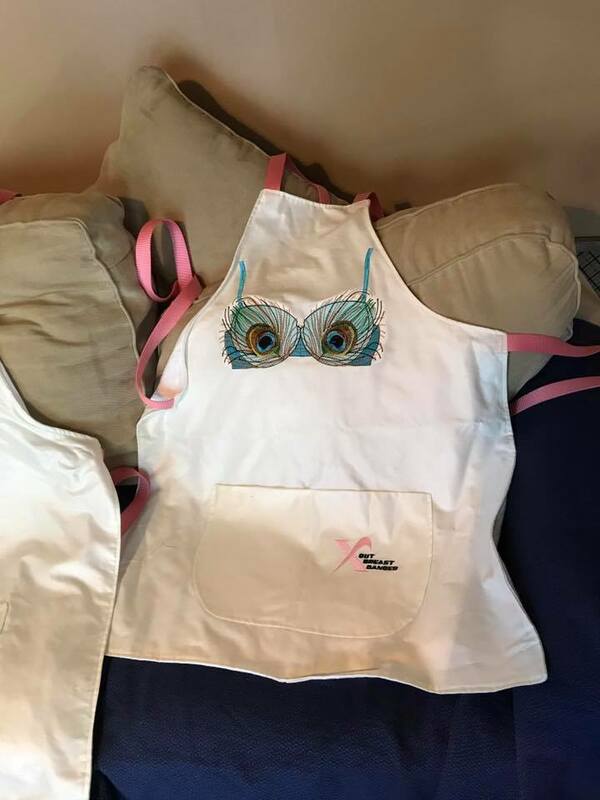 The Aprons were such a huge success. 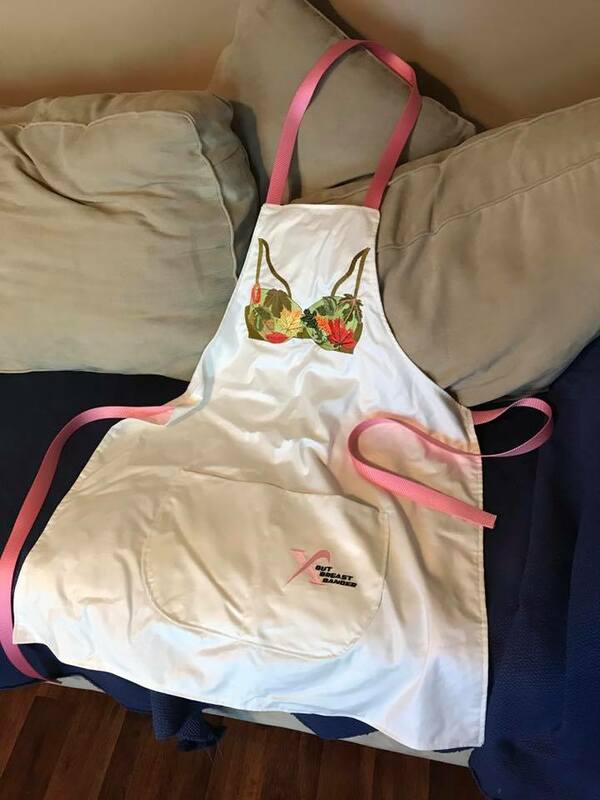 The aprons were auctioned off in the middle of tournament. The gentlemen modeling them were such good sports, and they raised over 500.00. 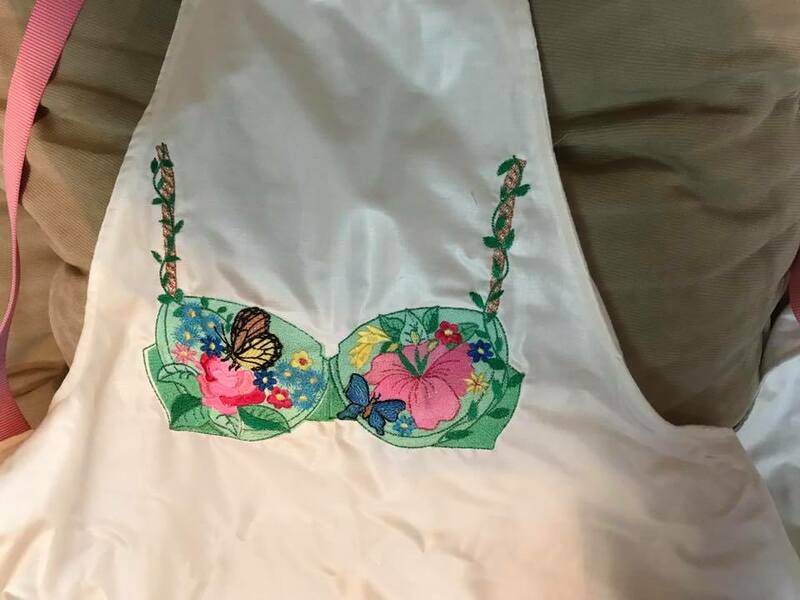 I have gotten request for me to make a few additional. I hope to see in my lifetime a cure for this type of cancer, for all cancer really.